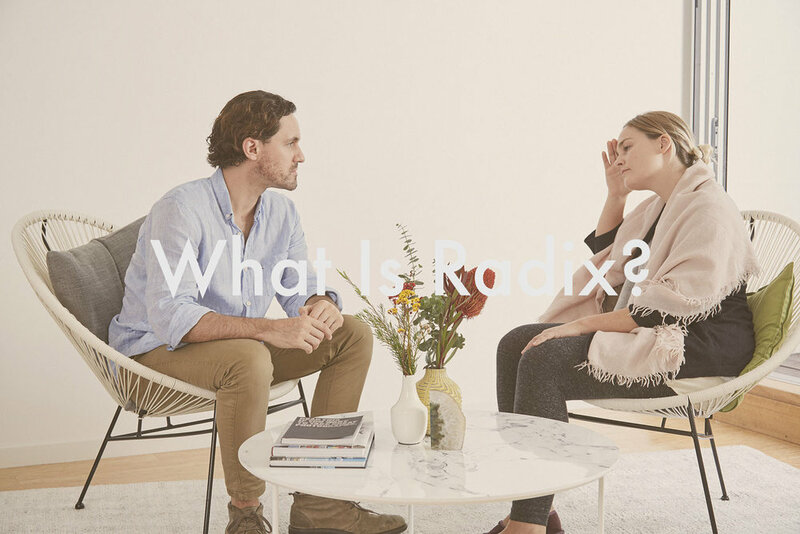 Radix is a powerful personal development process or body psychotherapy, which promotes change, growth and healing. The word 'radix' means root or source. It is the energy flow that gives rise to and unites the emotions, body, mind and spirit. Radix practitioners work with this energy to free old habits, which have become locked in the body and mind. In engaging with life, from childhood to adulthood, we develop patterns of behaviour and core beliefs that protect but limit us. These patterns are manifested in the mind as defence mechanisms and in the body, by our body shape, movement, breathing patterns and expression. The Radix practitioner looks for the relationship between these patterns and habits, both as they are expressed in the client's current life and in what is happening on an energetic level in their body. The client, by working with their body as well as their thinking, discovers experientially, step by step, how the body participates in unconsciously interfering with the way they think, act and feel. This awareness enables them to re-channel and strengthen the flow of the life force, empowering and giving more choice to engage in life more fully.